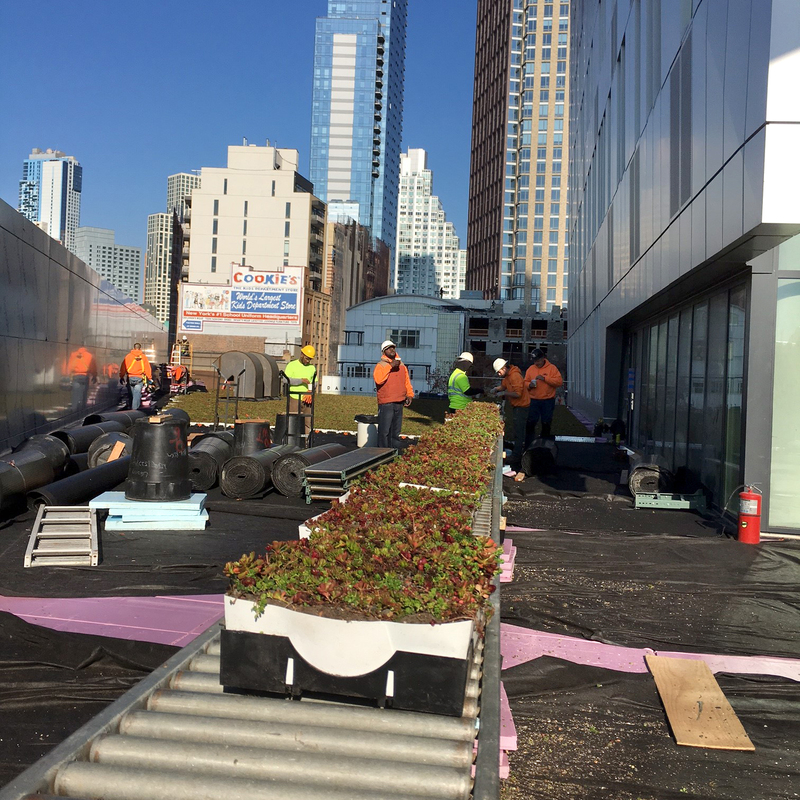 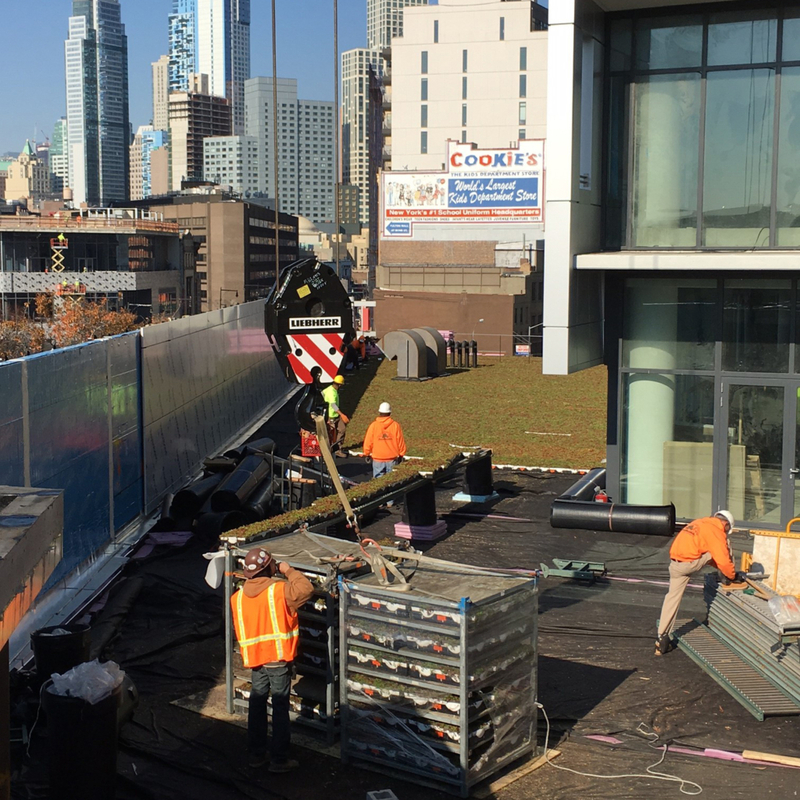 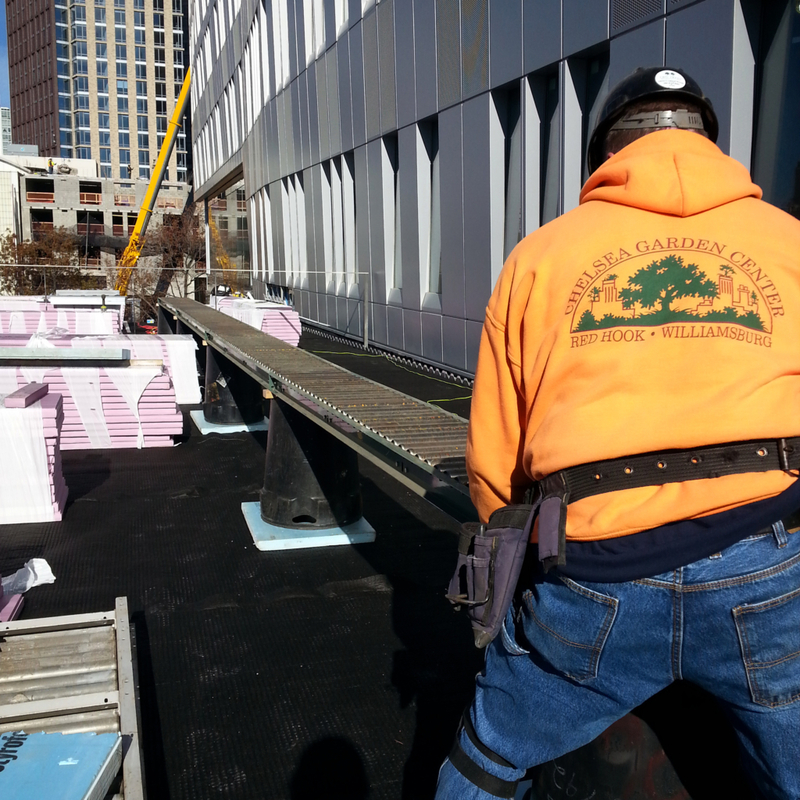 The owner came to Chelsea Garden Center with a challenging project – install a beautiful, low maintenance Green Roof that provides heating and cooling benefits to the building below. 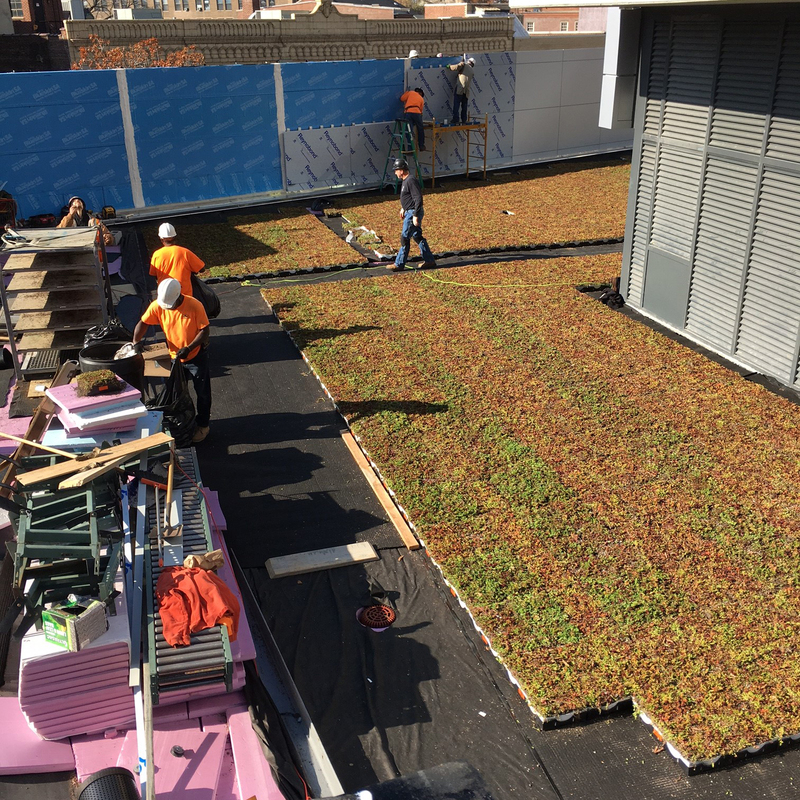 Our decades of experience enabled us to overcome the technical challenges of delivering and installing a living rooftop including an irrigation system three stories above the ground. 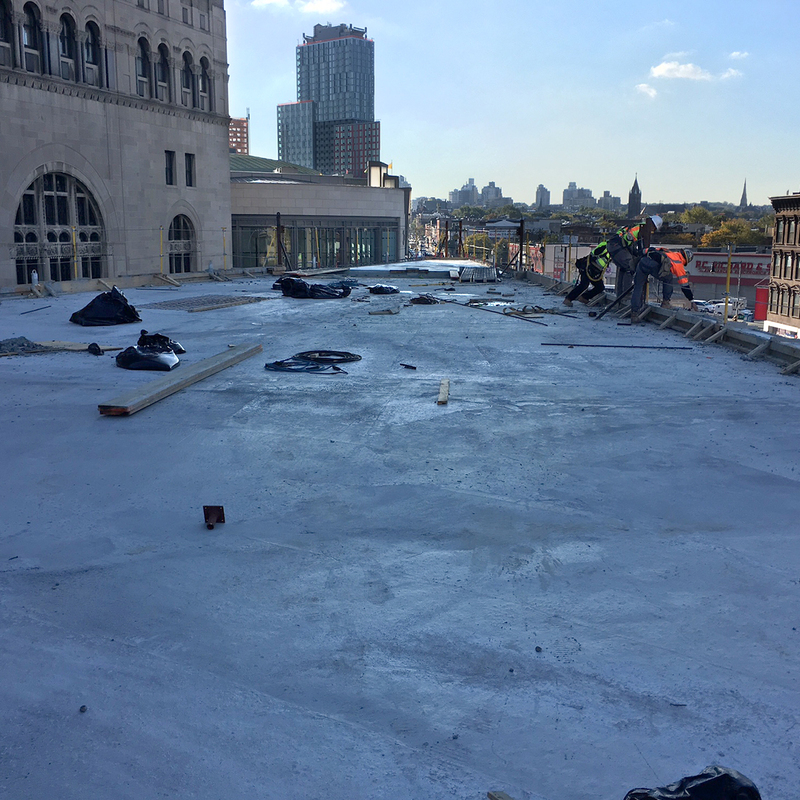 Chelsea was engaged to install a fourteen thousand (14,000) sq. 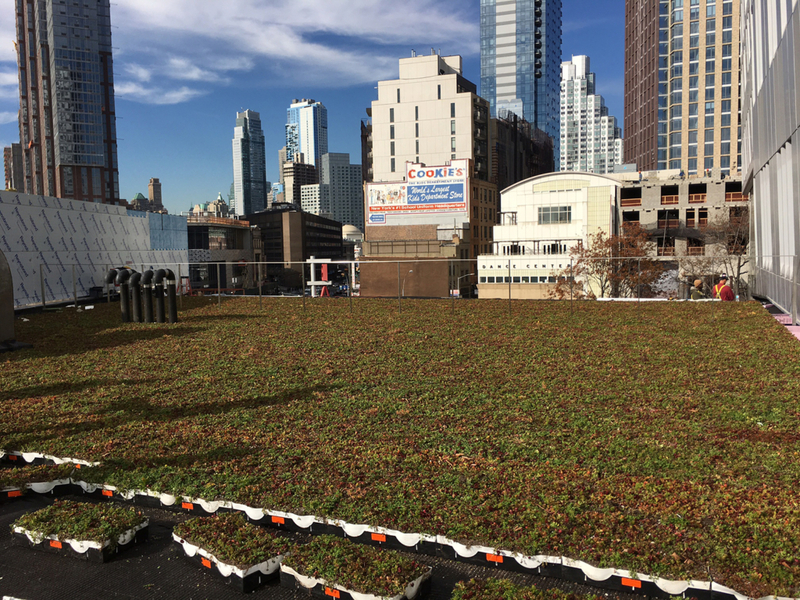 ft. green roof system in the heart of Downtown Brooklyn. Delivering and installing seven (7,000) thousand trays of beautiful mixed sedum plants. 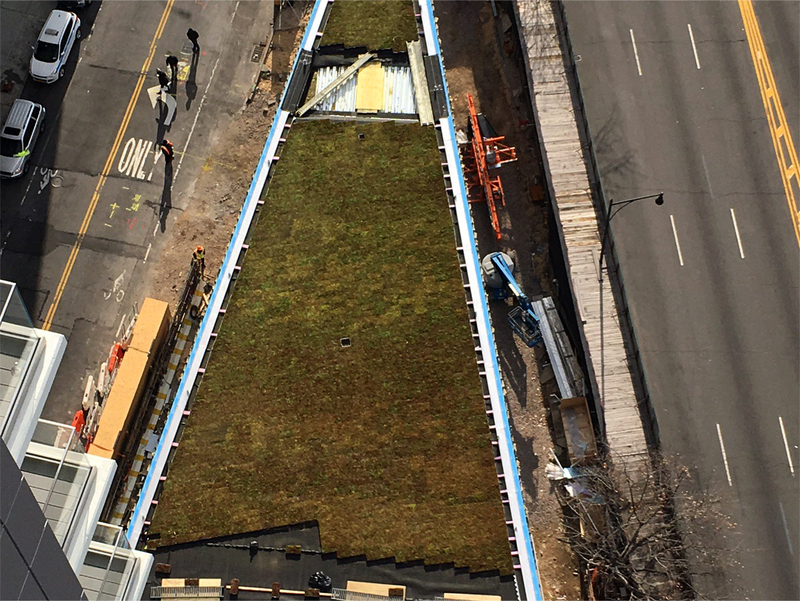 Once installed, the green roof would become the visual focal point for the tower rising thirty two (32) stories above. 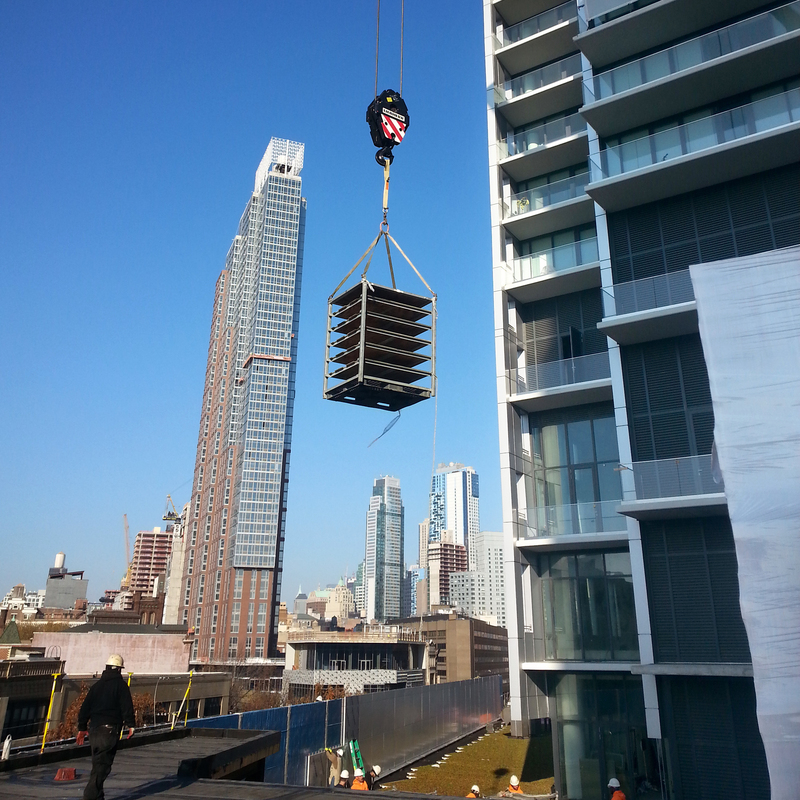 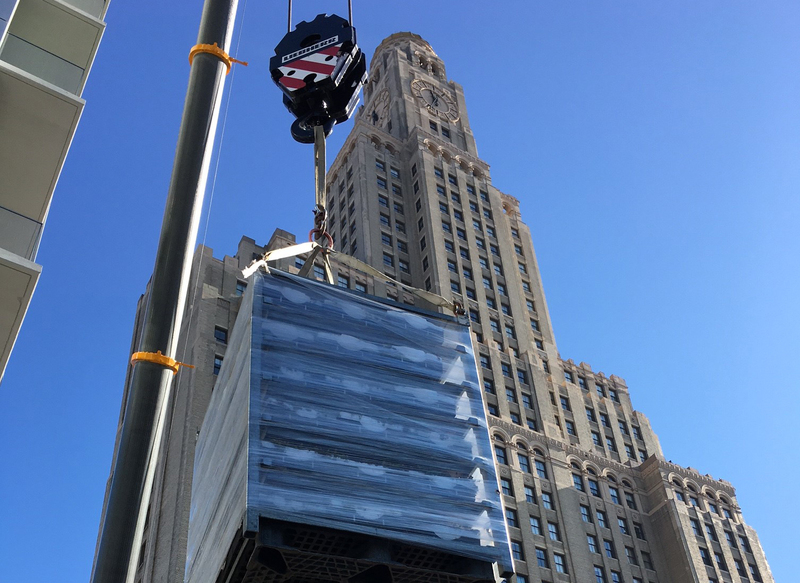 A crane was utilized to get the trays onto the roof in specialized units. 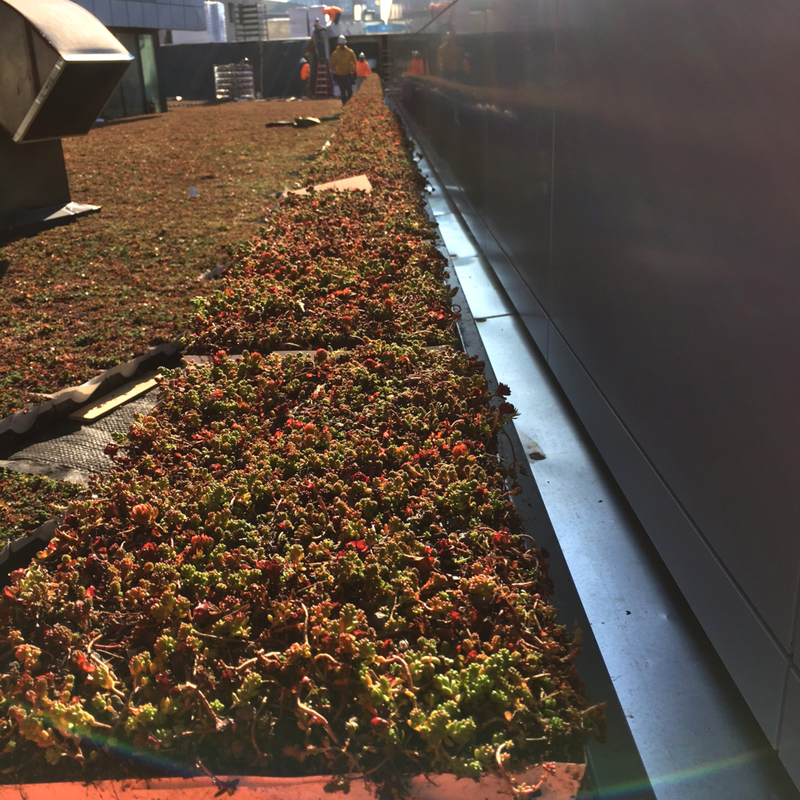 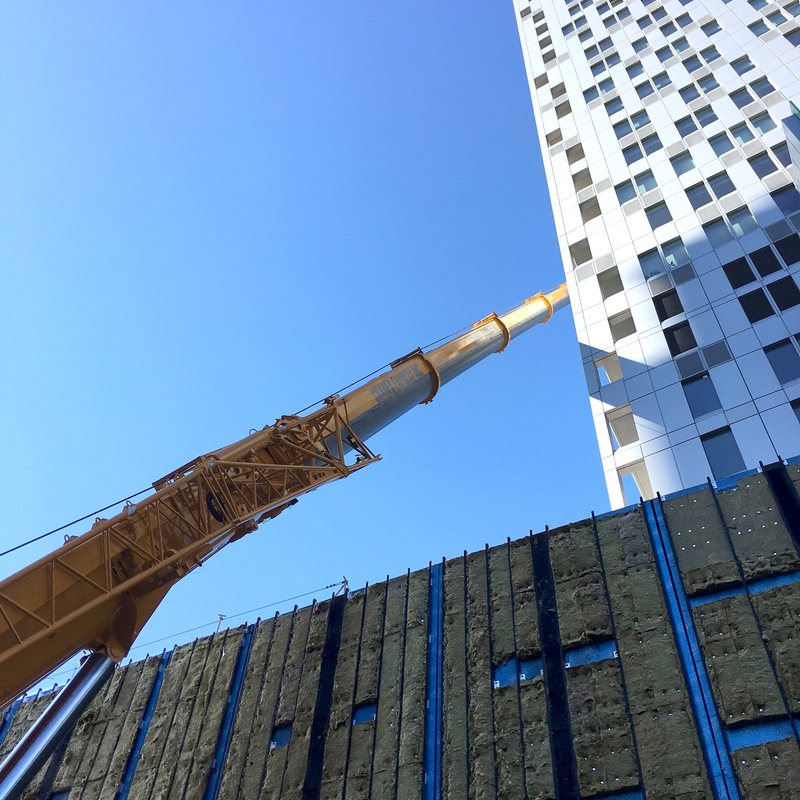 Once the trays were craned onto the roof, we improvised a conveyor system to move the sedum trays long distances that the crane was unable to reach. 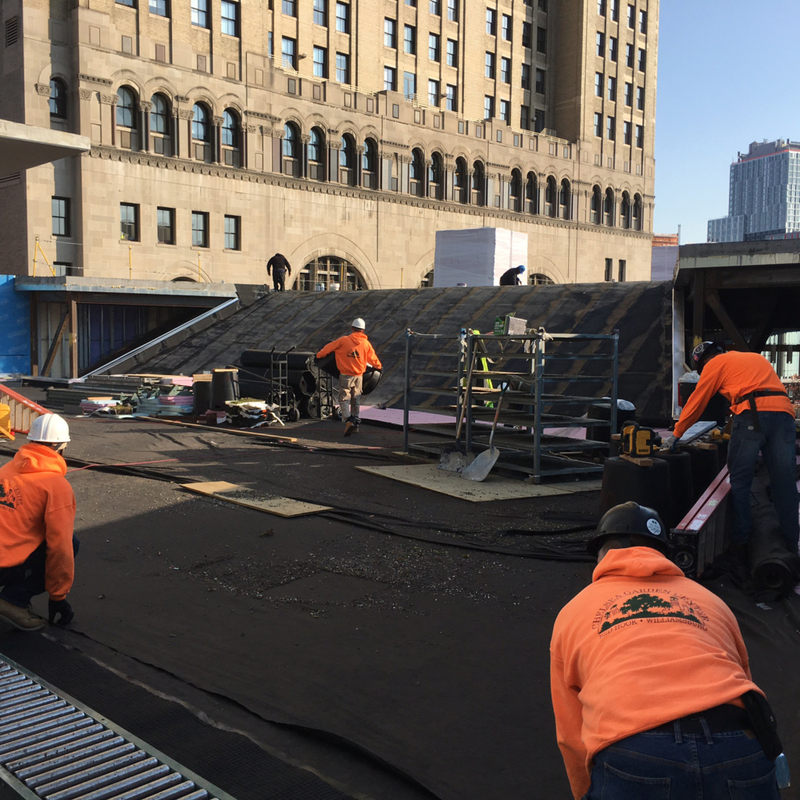 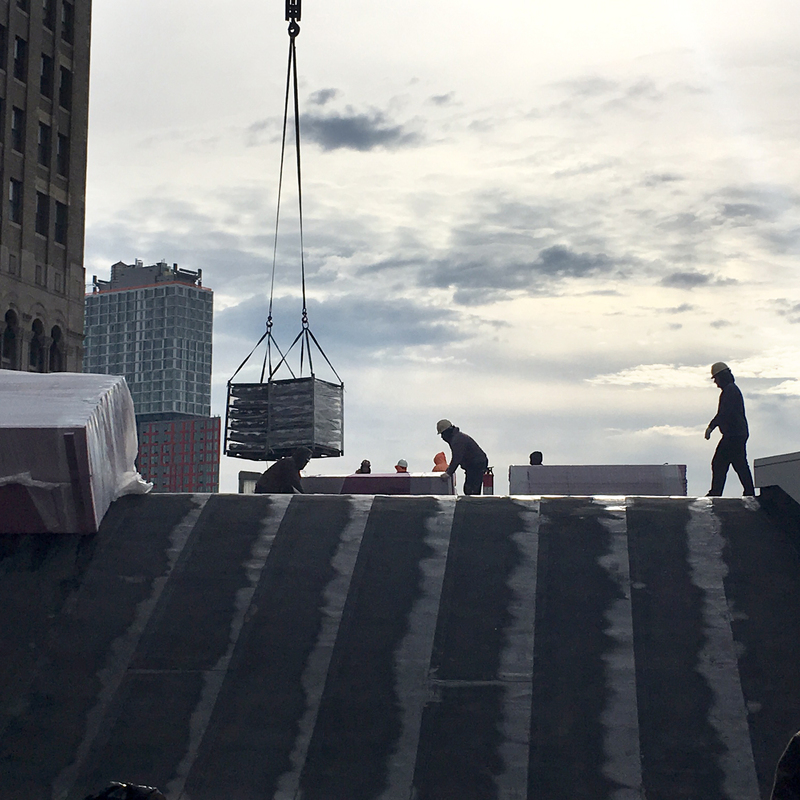 The trays were set on top of a four (4”) inch layer of Styrofoam board and specialized drainage matting all designed to protect the roof and ensure proper drainage. 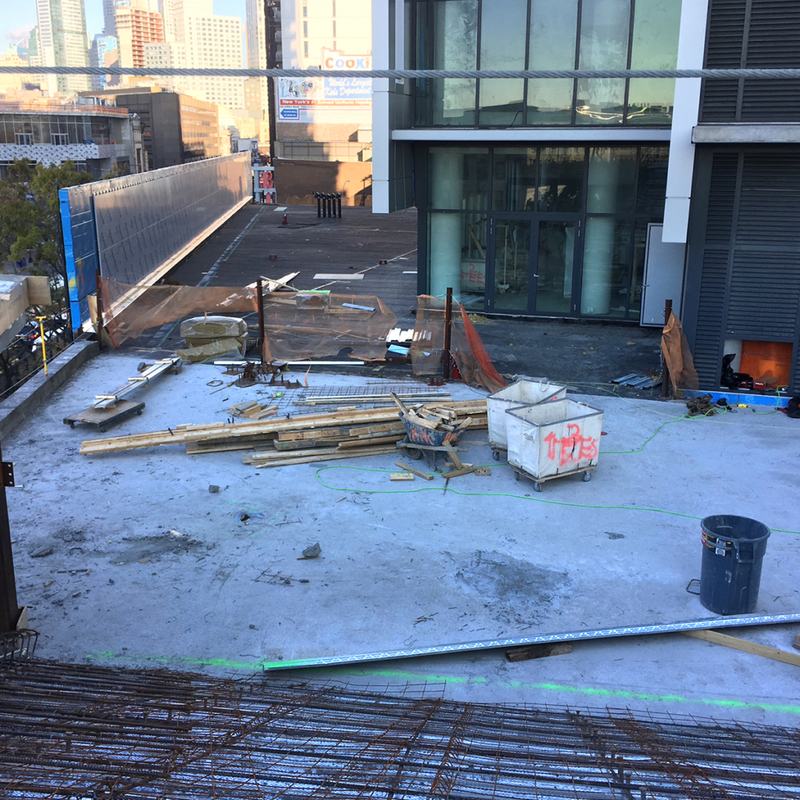 This bird’s eye view is of the upper portion of the roof deck that is shaped like the bow of a ship. 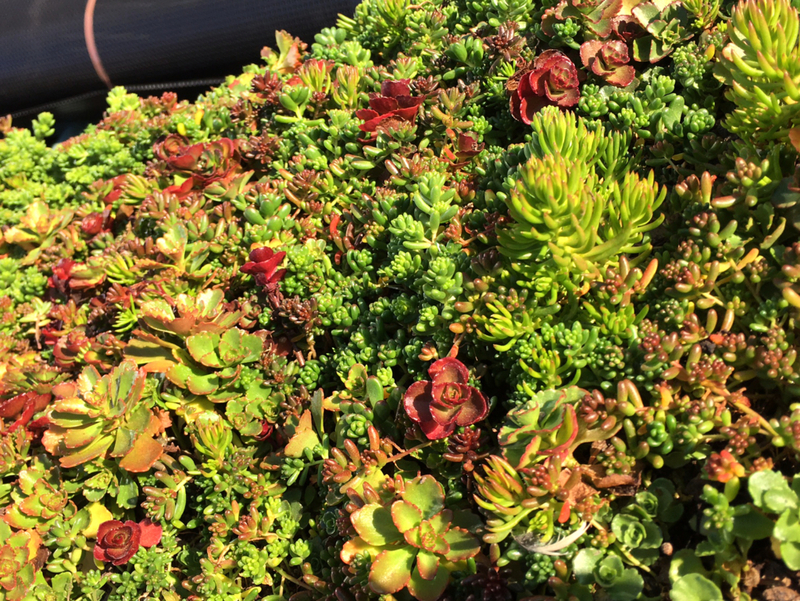 The trays are lush and overflowing with slow growing sedums. 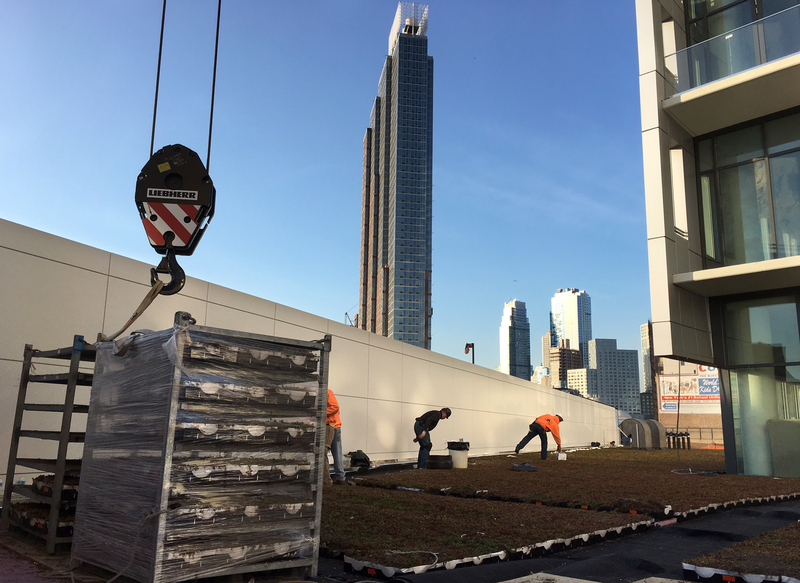 Once knitted, they will form a low maintenance green carpet that cools the spaces below in the summer and insulates them in the winter months. 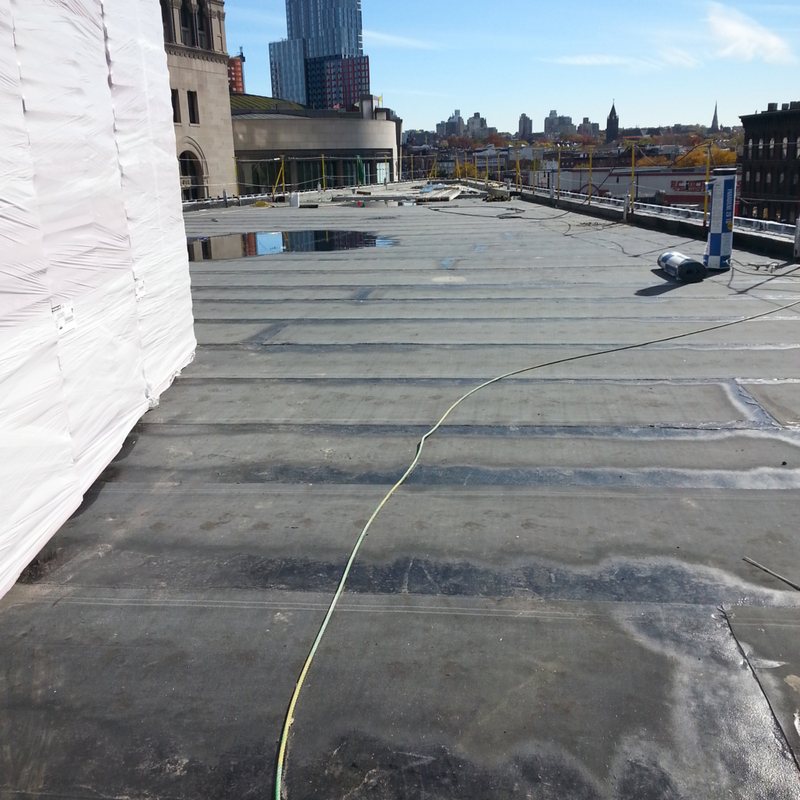 Have a Commercial or Residential project of your own?